When Mike Turner (Double K) and Chris Portugal (Thes One) released The Next Step on April 21st of 1998, they kickstarted a career that changed the dialogue of independent rap music in America forever. LA-based People Under The Stairs are one of the most successful independent hip-hop duos in the history of the genre. Since their 1998 debut, People Under The Stairs, or “The P” as they are referred to by their fans, have performed countless sold out shows, festivals and world tours that have spanned 6 continents and 40 countries. With a bold DIY ethos, they have self-produced nine full-length LPs in addition to countless singles and side projects. The musical sensibility that underlies their inimitable style of hip-hop has earned them a massive fanbase, consistent critical acclaim and numerous appearances on the Billboard Charts. Their illustrious career includes a John Peele Session at Abbey Road, an appearance on The Simpson’s 20th Anniversary Special and memorable performances at festivals such as Glastonbury, Coachella and Bonnaroo, the last of which SPIN magazine described as “Simply the best performance of Friday… Period”. As part of their 10-year Anniversary World Tour in 2009, People Under The Stairs travelled to new continents for sold-out shows in China, Brazil and Africa and headline performances at Outside Lands Festival, Governors Ball NYC and many more. 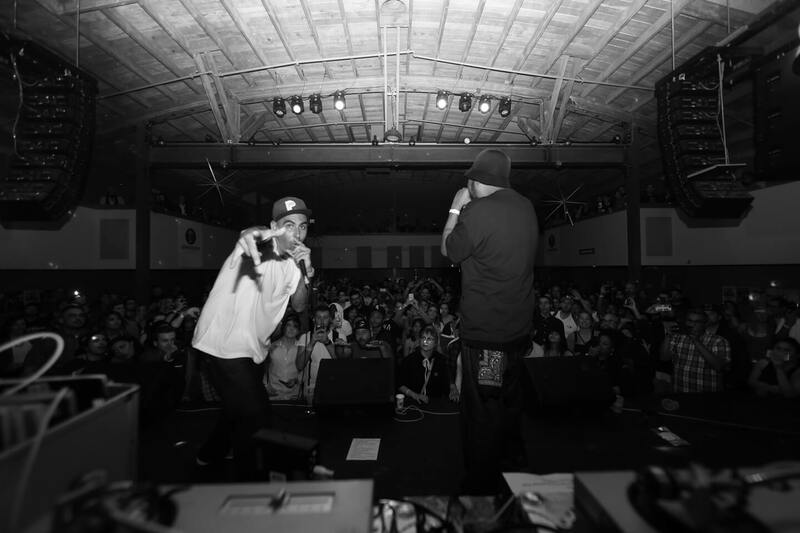 In 2013 the duo completed sold-out tours with Mac Miller and Girl Talk before heading back to the studio to complete their 9th album ’12 Step Program’, released in 2014 to widespread acclaim and mainstream success. 2015 saw the release of the ‘The Gettin Off Stage Pt. 1’, followed by a second part that along with their illustrious catalogue received over 43.1 Million minutes of music streamed on Spotify in 2017 alone. As millions of fans worldwide await the final instalment of the album series, ‘Sincerely, The P’ in November 2018, this legendary hip-hop duo continued to perform select dates to sold out audiences across the globe.